I woke up this morning to find some pretty exciting news from MetaQuotes sitting in my inbox. They've just opened up the MetaTrader 4 Marketplace with loads of free and paid Expert Advisors for you to wade through. If you've ever used Apples App Store or Google Play then you'll already be familiar with the concept. Users can browse the extensive list of Expert Advisors that are available and download as many as they like. Just like the other marketplaces there are both free and paid options and it's accessible both online and in the MetaTrader 4 terminal. While the marketplace has been available for MetaTrader 5 users since 2012, this is the first time that such a scheme has been available to MetaTrader 4 users. "MetaTrader 5 users have already appreciated the Market - trading robots are sold and purchased there at full swing. The activity in MetaTrader 4 section will definitely be even higher, since traders have long been asking for this opportunity. Anticipating our users' future demands, we further intend to add other categories of digital content. We are committed to turning MetaTrader Market into a place where users can find all the tools necessary for successful trading," says Renat Fatkhullin, CEO of MetaQuotes Software Corp. The fact is MetaTrader 4 is much more widely used than MetaTrader 5 and it's dominance doesn't show any signs of weakening. MetaTrader 4 has been around since 2005 and it's not going anywhere anytime soon. There are a number of reasons that people are still sticking with MetaTrader 4 and haven't migrated over to MetaTrader 5. One of the most compelling reasons is the platforms programming language, MQL4. It's much more newbie friendly and accessible than MQL5 and so developers are much more comfortable writing code. The learning curve for MQL4 is much easier too as the language is procedural rather than object orientated. Now that may all sound like 'gobbledygook' to you and that's totally fine. Basically all it means is that MQL4 is easier to read and understand because it 'flows' in a much more 'readable' manner. MQL5 is object orientated and is similar to languages like C# or Java. This was touted as one of the reasons that everyone should move over to MQL5 but to my mind, the creators missed one important fact. Not everyone wants to be a programming guru or needs to feel like a techno geek. Most of us just want to be able to write code quickly and efficiently and get the job done. I've always been a big fan of MQL4 as it's probably the simplest of languages to code in. I actually like the fact that it's inclusive and doesn't try to alienate people who aren't particularly technically minded. The MQL4 Marketplace is going to be another great boost for the language and I'm pretty excited about the future. The more people continue to use robots created in MQL4, the more people will want to learn MQL4. As an MQL4 trainer since 2007, that obviously makes me very happy indeed! 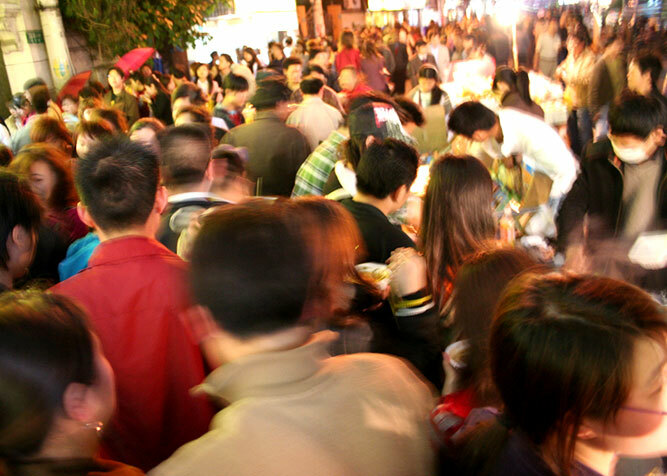 The launch of the marketplace has also meant some excellent additions to the language. MQL4 now offers greater features, faster execution, stricter quality control and a higher level of security. These were definitely lacking in previous versions of the language so it's a nice addition. With the MQL4 Marketplace and the new additions to the programming language it looks like MetaTrader are firmly committed. Any concerns or fears that you may have had that the language was going to be forgotten or made redundant, are definitely put to rest. MQL4 is alive and well and will be around for many, many years to come. If you haven't already started to code your own trading strategies then now is a great time to start. 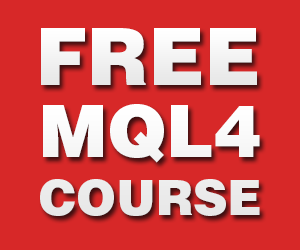 Be sure to check out my free MQL4 programming course and get coding today! You can also check out the MetaTrader 4 Marketplace and pick up a few Expert Advisors. Before running your newly acquired MQL4 expert advisors though, be sure to read my article on the hazards of automated trading software.